This Fortifying Friday, please welcome our friend Tamera Alexander. She's an encouraging voice in the lives of other writers and her workshops are very helpful. Her path to publication inspires us, and we hope her story inspires you as well. As far back as I can remember I’ve loved history. When I was nine years old my family took a trip to Europe. It was a fabulous experience. Touring the castles in Germany was a defining moment for me, though I didn’t know it then. I remember standing in one particular castle on the Rhine River, touching the stone walls, and thinking to myself that I wished I could know the lives and details of the people who had lived there. When I was older I read a ton of Regencies, and when I studied American History in high school, I fell in love with the American Frontier 1840-1880s. And the rest, as they say, is history. I’ve always loved writing but never seriously considered writing as a career until recent years when God unearthed the love of writing again. The first novel I wrote in 1999 is one I targeted specifically for Bethany House Publishers (BHP) and their historical line. It got to the final review board but then was ultimately “passed over” in early 2002. There were problems in that novel and in my writing that needed major work, so BHP was wise to let that manuscript slip through their fingers. After that experience, I realized that if I was going to have a good shot at being a serious writer, I needed to get serious about learning the craft of writing and in addressing the weaknesses in my writing. I joined American Christian Fiction Writers and began dissecting novels—books that I’d loved and read multiple times—with the goal of finding out what made them ‘tick’ for me. I also asked God to bring people into my life who would help me become a better writer by telling me what I needed to change, how I needed to grow. And He did. The Inheritance (Women of Faith Fiction) is actually my first novel that was rejected—several times. After receiving numerous rejections, I put the novel away and spent subsequent years learning how to write. Then I started on a brand new story. But when Thomas Nelson approached me about writing the first historical for Women of Faith Fiction, I immediately thought of this novel, still tucked away in my drawer and within me. The Inheritance is a complete rewrite of that original manuscript. I literally chucked the old manuscript (it had way too many issues), and I wrote the story again with where I was at that current point in my life and in where I was at that point skill-wise. I added some new subplots and new characters, but the hero and heroine remained much the same. It was wonderful to revisit these characters—Wyatt Caradon and McKenna Ashford—and to see their story finally come to life. And to the printed page. So, fellow writers, if you’ve gotten rejected manuscripts stuffed in desk drawers, don’t lose heart. And don’t toss them. It could be that that rejection isn’t God saying “Never.” But rather, “Just not right now.” I blogged on Rejection’s Silver Lining on my blog. 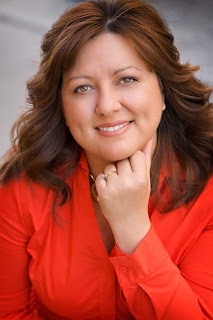 Tamera Alexander is the bestselling author of Rekindled, Revealed and Remembered, and From a Distance and Beyond This Moment, all novels of bestselling historical series with Bethany House Publishers. 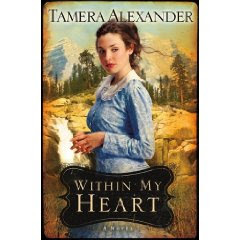 Tamera's The Inheritance, the first historical for the WOMEN OF FAITH fiction line (Thomas Nelson Publishers), released in March 2009 and joined her other books on the bestseller lists. She and her husband, Joe, make their home in Nashville, Tennessee with their two adult children who live near by. To learn more, visit Tamera’s Web site and her blog. Within My Heart released October 1, 2009. "Rescue me from my enemies, O Lord, for I hide myself in you." After a long week, my husband and I looked forward to our Friday evening together. We arrived at a local restaurant early enough to beat the rush, and after enjoying a leisurely dinner we planned to spend a quiet evening at home. Start a fire in the fireplace, watch mutual favorite TV shows taped throughout the week, relax, and enjoy each other’s company. Sounds easy enough . . .
On our way home from dinner, we turned into our neighborhood to discover a fire truck blocking the street. We’d experienced a wind gust earlier that evening, and it had brought down a large tree and power line, blocking the main entrance into the area. Fortunately, my husband is familiar with many roads and how they intertwine. We were able to avoid waiting in line with the masses returning home that day by turning around and taking another way. Just as we feared, our street was out of power. We were able to get into the house with a special garage key. I dug out flashlights and lit candles so we could maneuver around our home. My husband started one fire in the fireplace, and then another in a wood stove to keep the place warm. Cozy to be sure, but not how we wanted to spend our evening. Our plans were disrupted and both of us were disappointed. My husband went to bed early, and I read a book by flashlight. The power didn't come back on until late morning the next day. I think it’s common to feel that same frustration when we’ve set aside time to write and our plans get thwarted. What enemies distract you from writing? You know . . . what steals your love and joy for the writing process? What hinders it becoming as important in your life as you want it to be – as important as God desires it to be? Your family or what may feed your spiritual life is important. You need to take time for those. But look at what you can control if you chose to, without hurting others in the process. At the moment my enemies are feeling a lack of energy and a lack of time. I most often blame my day job, which can be very demanding of both. I can also get hooked into spending a lot of time with email and a particular social network. But what if I gave interruptions over to the Lord to battle? What if I trusted Him to deal with my enemies? Would I find renewed energy to write, even after arriving home weary from work? Would I find extra time I didn’t expect to have that I could use to focus on my book? Rescue me, Lord, from my enemies . . . and from myself. As we continue on our journey as writers, we need to keep a balance with other aspects of our lives. So this Writer’s Journey Wednesday, author Deborah Raney is here to share tips on how to handle the busy holidays—soon to be arriving. If, like me, you have a January deadline this year, you may not have the luxury of taking a break over the holidays. But I've learned that during the weeks between Thanksgiving and New Years, I find it almost impossible to concentrate enough to write anything worth keeping. So if at all possible, I plan ahead to take a break from working on my manuscript during those weeks. • Catch up on reading research books and articles for my work in progress, along with the industry magazines that have accumulated on my desk. • Update my website and get my next e-newsletter ready to send out. • Get my closets organized and my house cleaned (this means taking the Christmas tree down the day after Christmas). • Arrange lunch dates with all the friends and family I'll be ignoring the rest of the winter while I hunker down to finish a rewrite. • Get my speaking calendar and notes up to date, send PR material to venues where I'm speaking, make sure I have books ordered and on-hand, etc. • Balance the checkbook and get my tax stuff in order for the accountant. April 15 will be here sooner than we know! • Make some casseroles and cookies to put in the freezer so my family won't feel neglected while I go into hiding come January. • Write some shorter pieces that don't require so much concentration: blog posts, articles, speeches, workshop material, etc. Oh, and the family Christmas letter! It's not always possible to take the holidays off from writing, but if you find it tough to work on your novel in all the hubbub of the season, it might be worth it to clear your calendar as much as possible and plan to make up for lost time in the New Year. DEBORAH RANEY is at work on her 19th novel. Her books have won the RITA Award, HOLT Medallion, National Readers' Choice Award, Silver Angel, and have twice been Christy Award finalists. Her first novel, A Vow to Cherish, inspired the World Wide Pictures film of the same title. Her newest books, the Clayburn Novels, are from Howard/Simon & Schuster. She and her husband, Ken Raney, have four children and enjoy small- town life in Kansas. Did you know God created you to “walk in good works?” (see Ephesians 2:10) Before you were born, He had a lifetime of activities mapped out for you to participate in. These are ways you would glorify Him. Remember the time you helped the homeless person by offering a few dollars, or giving him a lift? Remember the time you hugged the toddler who skinned her knee on the playground? Or the time you wrote a comforting note to a new widow? All of those were “good works” God invited you to participate in. Your writing life is the same. You have been invited to participate with God in His calling on your life. Think about the writers who have influenced your life. Who knew your favorite author would put together just the right story, words, themes that would touch your life, inspiring you, glorifying God? God did. And He has stories for you to write (or non-fiction books) that will glorify Him while drawing people to Him. That’s the work we’ve been given. Beautiful, isn’t it? Here’s the best part: You get to enjoy the journey and God enjoys you in it. Let’s me explain. Eric was doing what God created for Him to do. Are you? When you do, do you feel His pleasure? Isn’t it amazing to share with the Creator of the universe in creating a story that can change lives, or writing a non-fiction book in a creative way that will also affect people’s steps? What a gift! What a calling! What a privilege, a pleasure. As you sit at your computer today, give yourself permission to explore your work, the work you’ve been given. ENJOY writing! Enjoy the journey of your calling, of walking out the work you’ve been given to do. Annette's teen daughter loves Melody Carlson's books. Recently we asked the author why she writes young-adult fiction. Here is her response this Featured Genre Day. Ironically, some of my earliest writing was targeted to teens. This was probably due to my own kids’ ages at the time—just entering their teens. But then I moved on…writing novels for women as well as some children’s books. At that point, I assumed I’d never write a teen book again. Then in 1999 I wrote Diary of a Teenage Girl. I think it was an “experiment” because the assumption was that teens weren’t really reading books. Consequently, the YA novel was written as a stand-alone story with very low expectations. Ten years later, the Diary series has 16 titles with sales totaling over 700,000 books—and I’m as surprised as anyone. What I find even more surprising is how much I enjoy writing for teens. A teen girl once said to me, “Mrs. Carlson, I think you have a teenaged girl trapped inside the body of a—” she stammered, “a—a middle-aged woman.” Well, once I recovered from being reminded that I was middle-aged, which was absolutely true, I realized that she’d given me quite a compliment. And I think that’s why my books work in the teen market—because I keep the teen girl inside of me alive and well (okay, well is an overstatement since my inner teen girl embraces insecurities, neuroses, confusion, angst, adolescent challenges, delusions of grandeur, and self-identity issues…). And when I write for teens, that’s the voice my readers hear and relate to. Some novice writers assume it’s easier to write for teens, but I beg to disagree. Sure, the word count is less, but teens require more in the sense of reality, authenticity, and relativity. Plus, they can quickly sniff out a fake, and they reject pat answers or adult characters who “solve teen problems.” Also, they do not want to be written down to. In fact, the way I write for teens is not much different than how I write for adults, except that the content is usually edgier…rawer…more uncomfortable…for the teens. 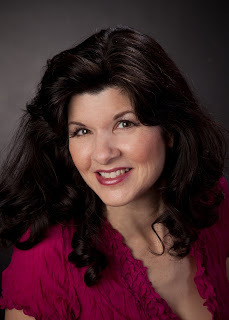 Melody Carlson has written more than 200 books for teens, women and children. Before publishing, Melody traveled around the world; volunteered in teen ministry; taught preschool; raised two sons; worked briefly in interior design, international adoption, and as a senior editor. Her teen series include Diary of a Teenage Girl, TrueColors, The Carter House Girls and several others. For more information visit her Web site. This Fortifying Friday, we're excited to welcome author Mary DeMuth. Her current series has hooked me. I (Annette) read both Daisy Chain and A Slow Burn (see Net's Book Notes for reviews). Mary graciously agreed to stop by and share her "success story" with us. Happy Friday! And now, here's Mary . . . I spent over ten years writing in obscurity while my children were young. During that time I created newsletters and short stories, always forcing deadlines on myself—and then meeting them early. When my youngest child started preschool, I dusted off my dream of writing a novel, completing it in four months. I also became a newspaper columnist and found success in writing for national magazines. I attended a small, regional writers' conference, then packed my bags for a major (400+ writers) writing conference in the spring of 2003. On the plane, my writing friend asked me what I hoped to accomplish there. I said something about finding a publisher. "Don't you want an agent?" "Are they really that important?" I asked. She shook her head, then explained why I needed one. We arrived in the wooded hills above San Jose, eager and ready to knock 'em dead. I sent ahead the first three chapters, a synopsis and a query letter from my novel Crushing Stone to three publishing houses. I retrieved my manuscripts with shaking hands. I tore open the envelopes and let out a breath. All three expressed interest. I hollered. And yelled. After writing in obscurity for so many years, the publisher’s approval validated me. I took the intermediate writing track taught by a big-name agent (from this time forward, known as The Agent). He said up front, "I am not looking for clients. I'm happy with my stable of authors." So, when I met with him, I didn't consider him as a possible agent prospect. I simply wanted to ask his advice. The Agent was very late for our meeting. I almost left. He came rushing in, apologizing. I told him I had some interest in my book and asked if he'd be willing to answer a few questions. He said sure. He asked for my proposal, and when I gave it to him, he said, "I've seen this before." I wanted to die. In wanting to be efficient, I not only sent my proposal to the people at the conference, as instructed, but I also I sent it to his agency, even though I didn’t quite know the purpose of an agent. At the conference, I found out his firm did not accept unsolicited manuscripts, particularly from unpublished authors like me. In that, I violated the don't-send-your-stuff-if-you're-a-nobody rule. Note to readers: This is probably not a good idea. The reason he recognized it? My unusual stationary—not scented or colored, but it sported a curve on the right hand side. "Do you mind if I take this with me?" he asked. We shook hands and parted ways. I came home from the conference happy to know editors liked my writing, but discouraged to not have immediate interest. A few weeks later, I received an email from The Agent. He wrote, “You are one of the best new writers I've met and I'd like to talk about representation. Would you be interested?" I screamed. Hyperventilated a bit. I hollered some more. The children thought I was dying, so they raced upstairs, followed by my husband. "What's wrong mommy?" the children asked in unison. "I . . . uh . . . I . . . "
I jumped up and down. Though they didn't know the reasons behind my pogo-ing, they joined me. Eventually I spilled out the email's words. The children cheered. My husband cheered. I cheered. I later found out the proposal I'd sent before the conference (oh woefully naive me!) made it into the hands of The Agent’s assistant. She screened it while The Agent attended the conference. So, I received the email that supercharged my career, pulling me from obscurity onto the publication path. Within six months, I sold two books to major publishers. Mary DeMuth is a speaker and the author of three parenting books and four novels, her latest entitled A Slow Burn. 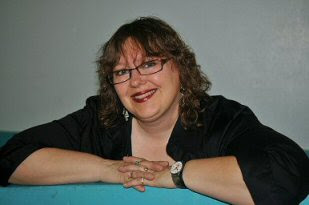 As a book mentor, she helps aspiring writers seeking publication at www.thewritingspa.com. Mother of three, pet owner of two and wife of one, she lives in Texas. Find out more at her Web site. As writers we can get caught up in branding. You know . . . that thing that makes us stand out from other writers. That tag line that speaks to what we write, whether it’s fiction or non-fiction. “Don’t forget to breathe . . .” lets you know when you open a Brandilyn Collin’s novel, you’ll find a story full of suspense. Kim Sawyer uses “gentle stories of hope” for her historical romances. Some authors are so well known for their genre, they don’t need a tag line. Their name alone represents their brand. Dr. James Dobson. Everyone knows what he stands for and what to expect from any publication written by him. No one choosing a Stephen King novel would anticipate reading something lighthearted. I hope to have a brand and a cool tag line some day. But when I get caught up in my writing and desire to be published, I put this before me . . . Even if I’m bearing fruit on the page and writing 3,000 words a day (I wish!) – how am I known to those around me? More than my desire to be known for what I write, I want to be known for bearing fruits of the Spirit. 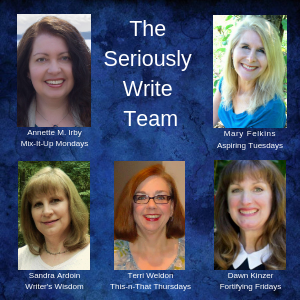 At Seriously Write, we enjoy featuring other blogs that are unique in what they offer writers. I love movies and often use them for not only escape, but inspiration. 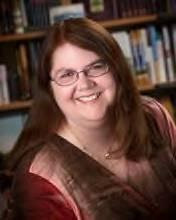 This Writer’s Journey Wednesday, please welcome author Kathleen Kovach, creator of the Craft Cinema blog. CraftCinema.blogspot.com offers a unique perspective for the writer who loves movies. I have found that I can study a two-hour movie for the craft of writing much easier than a book that takes me several days to read. I started this blog as a point of conversation after several members of my local ACFW (American Christian Fiction Writers) group decided to watch a movie together and discuss it. It morphed into what it is today, a place for me to process my thoughts and showcase certain aspects of the writing craft. At Craft Cinema, I discuss plot structure, GMC, plot twists, dialogue, and so much more. For example, while watching Galaxy Quest with Tim Allen, I discuss the hero's journey which helps to develop the character arc. Enchanted with Amy Adams and Patrick Dempsey had a bit of foreshadowing that I pulled out. After viewing the classic movie, The Greatest Show on Earth with Charleton Heston, Betty Hutton, Jimmy Stewart, and Cornell Wilde, I wrote an article titled "Keeping the Main Thing the Main Thing." It occurred to me that all four of its stars could have had equal billing. So who was the main character? Read my article. My conclusion may surprise you. I present these articles in an entertaining way. There is nothing worse than reading dry instructions when talking about a creative endeavor. But the main goal is to see how the craft is done well (or not done well) and how to study from other writers so we can apply what we learn to our own work. Occasionally, I like to pull trivia from the IMDB site. This is the Internet Movie Data Base site where I go to get my facts straight. Often, they have fun stuff that just has to be shared. For example, in the new Star Trek movie, Uhura's refusal to give her name to Kirk was the writer's nod to the television show where her character was never given a first name. Cool, huh? At Craft Cinema, you will also find movie reviews void of spoilers. The most recent review is The Proposal with Sandra Bullock and Ryan Reynolds. So, come on over, grab a bag of popcorn, a pad of paper and a pen, and enjoy great movies with your right brain while learning with your left. Kathleen E. Kovach and her husband Jim raised two sons while living the nomadic lifestyle for over twenty years in the Air Force. She's a grandmother, though much too you ng for that. Now firmly planted in Colorado, she's the Rocky Mountain Zone Director for American Christian Fiction Writers and leads a local writers group. Published with Barbour, Kathleen has three books out, including her latest, God Gave the Song, which is the first in her series of three set in southern Oregon. Kathleen hopes her readers will giggle through her books while learning the spiritual truths God has placed there. "Make a careful exploration of who you are . . . "
Let's make a list: Christian, writer, parent? sister? brother? spouse? minister? We wear many hats, don’t we? And it’s difficult to find a balance. But this verse give us permission, if you will, to explore our creative side. To explore who God created us to be. Did you know when you become fully who you were made to be, you glorify God more fully? God is your Creator, so when you fully personify all the unique aspects of you, you glorify Him. This verse is not giving us permission to be forever introspective and self-absorbed, but it is directing us to honor God in His creation of us as individuals. Dawn and I were talking the other night after our critique group met about different books we’ve read. She has certain favorites, certain books which, for her, stand out and made her a committed “fan” of a certain author. I have others. Some that she might name I’ve already determined aren’t my favorites. As writers Dawn and I write differently—from the style of our writing to the voice, we’re different. Yay! As a writer, you have a specific voice, a specific calling, a specific presentation to give the world of readers out there. Do you know what that voice is? What that calling is? Do you know what you were created to do? to write? If you already know, strive to be everything you were meant to be in that calling, in your writing. This Manuscript Monday, please welcome back Jeanne Marie Leach to finish her two-part series on editing fiction. This week: flashbacks. It is not a good idea to start a book with back-story; otherwise the reader becomes confused when the author suddenly jumps into the present. If the story must begin with a flashback, perhaps it would best as a prologue, or the story may benefit from actually beginning back at the point in time where the author feels it necessary to tell us about. Flashbacks are a good way to tell the reader more about the character’s motivation, but they should be used only when the scene is slowing down – never in the middle of tension. They stop the action. If it works, that’s good; otherwise, get rid of it. There are a couple lines of thinking when it comes to back story these days. Some think it is best to NEVER use back story in the main section of the book. They maintain that anything from the past that must be made known can be interspersed in small snippets throughout the story. Others think back story is just fine, but all agree that there should never be more than a page of back story at a time. Jane leaned against the window, flashes of John running through her mind. She remembered the day he brought her there. John had just bought that flashy, blue sports car, and had apparently wanted the whole neighborhood to know it. He had driven up to Jane’s parent’s house and honked the horn loud and long to get everyone’s attention. “All right! We know you’re here!” she called from her upstairs bedroom window. She did his bidding and soon they were driving through the streets of the city. “Where are we going?” Jane asked when he turned off the highway onto a rocky lane on the outskirts of town. Jane watched trees, wildflowers and tall grasses that had never seen a lawnmower as they sped by the landscape. They drove up to a small, two-story white house with an equally white picket fence. She held her breath. This was it! Their dream home! Now, twenty years later, she couldn’t imagine herself living anywhere else. The rooms held so many memories of a life they’d built together. This old house spoke of John everywhere she looked, and it comforted her. In the above scene, the first and last paragraphs are written to show what is actually happening now in the story. They are written in third person past tense. The rest is considered back-story or a flashback. Note in the second paragraph the tense is past perfect and uses ‘had’ to denote that this section is going back even further in time. Then from the third paragraph until the last, I reverted back to the same tense as the first paragraph, even though we are still in the flashback. You don’t need to use ‘had’ through the entire flashback, as it would bog down the scene with unnecessary words. Jeanne Marie Leach lives in the mountains of Colorado with her husband of 35 years and their two, large Alaskan Malamutes. She is a published author of Christian historical romance novels, newsletters, and articles, and is a full-time freelance editor. She has successfully helped unpublished Christian writers since 2002. Five have won Christian writing awards, and most are now published authors. 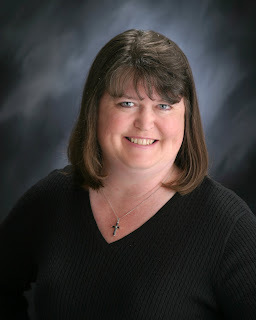 Her editing specialties are Christian fiction novels and short stories, and she has been a member of the American Christian Fiction Writers (ACFW) since 2000. She teaches a workshop for beginning writers and editors on Editing Fiction. For more information, visit Jeanne Marie Leach at her Web site. * Much of the material used in this lesson is taken from Writing Basics for Beginners, by Jeanne Marie Leach, copyright 2007. All rights reserved. No part of this publication may be reproduced, stored in a retrieval system, or transmitted in any form or by any means, electronic, mechanical, recording or otherwise, without the prior written permission of the author. Angela Breidenbach is a friend, fellow writer, and a life coach. She also currently serves as Mrs. Montana International 2009. This Fortifying Friday, sit back and enjoy what she has to share with you. What kind of a personality do you have? What area of the country are you from? What faith choices have you made? Are you a night owl, early bird, or somewhere in between? What hardships, addictions, hurts have you lived through? We see the world and our place in it through the answers to questions like these. These filters determine understanding, response, and decisions. There are millions of things that have gone into the people we are today. Even if someone were to mirror our life exactly, genetics come into play. How we see the world is a unique blend of nuances impossible to recreate. As a writer, we have the opportunity to use the voice God gave us on the written page to create an intimate bond with readers. Intimacy created because of the private invitation to leap off the page and enter their mind. One-on-one communication under the surface. Each experience we've lived through becomes a gem of wisdom to fill our special treasure chest. Rather than bury treasure, as Christians, we share it. Only to discover our treasure multiplies in Christ exponentially. Gems are cut into various sizes and shapes. Some for jewelry, some for museum display, and even some for the practical use of sandblasting. Each rock has its own varying design and purpose. It's the same with us. The Lord sees our full value and purchases us with his son. He sees the potential and the right cut for our purpose, the purpose he designed for us. We each have multi-faceted nuances that make who we are, what we do in this life, and how we voice it to the world remarkable. We're on a treasure hunt. The intent is to uncover the gems of wisdom God has given us to enrich the lives of others. Angela Breidenbach is Mrs. Montana International 2009 working with Hope’s Promise Orphan Ministries, the American Heart Association, the Jadyn Fred Foundation and drawing awareness to Fair Trade practices. Angela’s calling is as a purposeful life coach and educator. She’s also certified in mentor/peer counseling as a Stephen Minister and Assisting Minister. She serves as the American Christian Fiction Writer's Publicity Officer and is a multi-award winning inspirational author and speaker. Not only did she walk the hard line of deciding to donate her mom's brain, but she is also on the brain donation list at the Brain Bank-Harvard McLean Hospital. She is married, has a combined family of six grown children, one grandson. Helping people battle inner pirates and uncover gems of wisdom to live a rich life. Personal growth = Powerful living! He created the heavens and the earth, the sky, the sea, vegetation, the animals, and the birds of the air. He created a wonderful and beautiful world. Then He created man and woman and gave them this magnificent place to enjoy. Think about that simple statement. He understands artistic people of all kinds – writers, painters, dancers, musicians. After all, we were made in His image. Our heavenly Father understands our need to create, what excites us, and our desire to touch and motivate people. As writers, if it were possible to sit at a table with our lattes and discuss our stories with Him—like we do with our critique groups—don’t you think He’d jump in with enthusiasm and give us ideas on plots and characterizations? Not to mention how to enhance the spiritual take-a-way! Well, maybe we can do just that. What’s stopping you from sitting down at your computer with your cup of coffee or tea and talking to Him right there? Get His input on what you’re supposed to write. He’ll let you know. After all, He gets us! I think I’ll go pour a cup of coffee now . . . This Writer’s Journey Wednesday we’re going to look at book signings. This past weekend, Annette and I were able to attend Tricia Goyer’s signing of her latest novel, The Swiss Courier, at the Lifeway Christian Bookstore in the Seattle area. After the signing, the three of us, Amy Lathrop (Tricia’s fabulous assistant), and author friends, Ocienna Fleiss and Judy Gann, enjoyed a leisurely lunch together. While we shared good food and great conversation, I asked Tricia what she believed helped make a book signing successful. * Promote the book signing by using your networks, such as Twitter and Facebook. Some major stores are also connected to those networks and you can utilize them. * Prior to the signing, check with the store to see if they are using any type of signage for promotion, or if you can bring your own. * Stick labels with the date and time of the signing on promotional postcards and send them to the store prior to the event. Employees can stick the postcards in bags with items customers purchase. * If the novel isn’t your first release, inquire prior to the signing if the store would be willing to have your other books available for purchase. * Include other authors in your signing. It can help build interest and attendance. Not to mention make the day even more fun! * If you can, hold the signing between 1:00-3:00 pm. There’s generally more store traffic in the afternoon. * Hold a drawing for a prize, such as a gift basket. But stay away from giving a free book as the prize. People will hold off buying your book, hoping they might win one. * Slips of paper and pens should be available for people to sign up for the drawing. 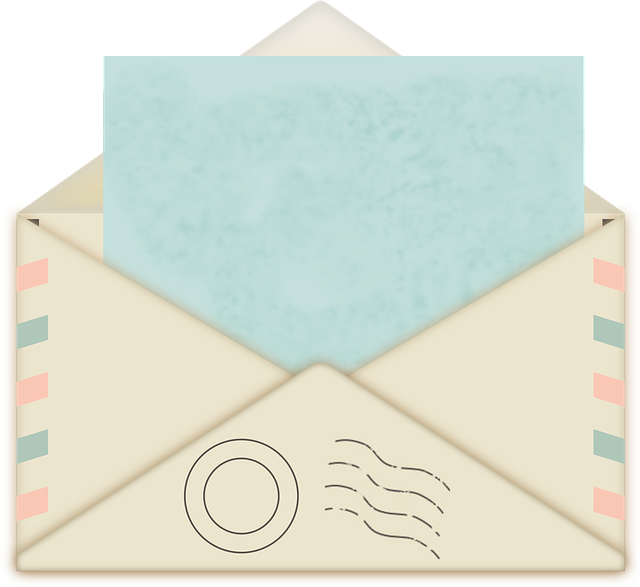 Include a space for their name, address, and email information, along with a box for them to check if they would like to receive your newsletter (if you write one). If you’re a speaker, this is another area where people can request information. Tricia’s experience has been that 80% of the people will request to be put on the mailing list. This enables her to keep in connected with her readers, and also opens up the doors to speaking engagements. * Postcards and bookmarks can be given away to help promote the book. * If the opportunies are there, talk to both the manager and the sales staff. * Keep extra books handy in your car. If the store runs out, you can ask if they’d like to use the extras and how they’d like to handle the sales. * Bring or send the manager a small gift, such as a box of chocolates. Include a handwritten thank you note. * Don’t worry about numbers—how many people show up and buy books. God will bring the right people there that day. Tricia Goyer is the author of twenty books including From Dust and Ashes, My Lif e UnScripted, and the children's book, 10 Minutes to Showtime. She won Historical Novel of the Year in 2005 and 2006 from ACFW, and was honored with the Writer of the Year award from Mt. Hermon Writer's Conference in 2003. Tricia's book Life Interrupted was a finalist for the Gold Medallion in 2005. In addition to her novels, Tricia writes non-fiction books and magazine articles for publications like Today's Christian Woman and Focus on the Family. 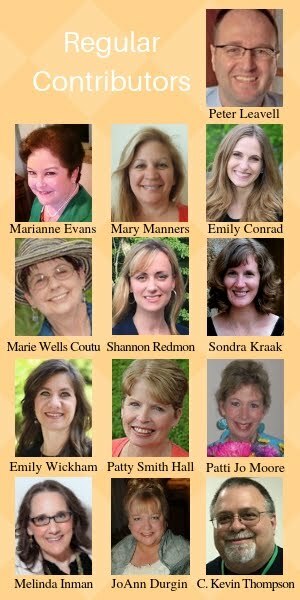 Tricia is a regular speaker at conventions and conferences, and has been a workshop presenter at the MOPS (Mothers of Preschoolers) International Conventions. She and her family make their home in the mountains of Montana. Welcome to a new series this Net's Notation Tuesday: The Creative Best series. and then sink yourself into that. Don't be impressed with yourself. you can with your own life. Over the next few weeks, we’ll break this verse down and explore how the passage applies to our lives as writers. For now, though, I’m going to leave this post simple. Go ahead, read the passage again. I'm inspired by it. So I pasted the words over a lovely background, printed out the design and posted it near my computer in my writing space. Enjoy! This Manuscript Monday, please welcome Jeanne Marie Leach to share some great tips on the elements of fiction. She's here with a two-part series. This week: the first chapter. The first chapter sets the mood of the entire book and must contain certain elements of the story. Although the back cover will reveal the basics about the book, the first chapter must be written as if there were no cover. First, the book must open with a ‘hook’ that literally hooks the reader and keeps them reading the next sentence, and the next, and the next. If the first page of the book is boring to you as a reader, it will be boring to everyone else too. A good rule is to find the first actual exciting scene with lots of emotion or conflict and plunk the reader right down in the middle of the action. The end of the chapter must also grab hold of the reader and force them to want to keep going, even if they really don’t have time. The writer must leave them with a cliffhanger. Always leave the reader wanting more – now! There are more elements of the story that the reader must discover in the first chapter. ** What genre is this? ** What time period is the story taking place? This can be revealed by the way the character is dressed, or their speech, or perhaps through the setting. In fact, most of these will be used by the end of the first chapter. ** Is this light reading or deep and thought provoking? ** The main character(s) must be introduced in the first chapter. The first time each character is mentioned, their entire name must be revealed. It is best if the reader gets a physical description of the characters. The reader must “picture” the main characters in their minds as early as possible. That way, as the story unfolds, the reader can ‘see’ them going through each event. However, don’t give a whole paragraph at a time of descriptions. Rather, drop tidbits into the story as it progresses. ** What are the main conflicts the character(s) are facing, or a foreshadowing of what they are going to face? ** What is the main characters’ primary desire in life and what is keeping them from attaining it? ** What is the faith element? Are they a practicing, faithful, believing, trusting Christian, or do they have doubts? Had something happened along the way to zap their faith from them, and now they are struggling? Have they no faith at all? ** Setting, setting, setting! The reader must have a sense of where the characters are at all times. Descriptions of rooms, sense of space and flow are important. Again, don’t take up two paragraphs in a row to describe a room and its contents. Make sure the readers understand the “blueprints” to the house. I’ve read numerous manuscripts where a person is inside one room in the house, then they go through “a door” and they are outside, and I had no idea how they got there. How many other rooms did they have to walk through to get outside? Are they in the front of the house or in the backyard? These must be clearly written. This Fortifying Friday, please welcome Mary Connealy, as she shares what helped get her stories on our book shelves. I started writing when my baby went to kindergarten. The book came out in February of the year she graduated from high school, so journey is the right word. At first it was just me, home, alone. It took me two years to find RWA (yes, I live in a cave) Then I found a ‘local’ chapter. I started entering contests. I did well enough that the last two years before I got a contract, I finalled in eleven contests with five different books. Through RWA I discovered ACFW (American Christian Fiction Writers). Through ACFW I joined an online critique group, and entered my manuscript Petticoat Ranch in ACFW’s Noble Theme contest. I decided to attend the 2004 conference. Through all this passing of the years, whatever else I did to get published, I kept writing. Well, I won The Noble Theme contest. I got a lot of requests at the conference to send in my book. I also got a really simple request from Cathy Marie Hake, an author I didn’t know. She asked me to send her my first three chapters. She just wanted to see how I wrote. Every year at the conference the acquiring editor for Heartsong Presents gives a contract to an unpublished author. In 2005 it was me. It was a thrilling moment. I have since gotten more contracts from Barbour. I’ll be writing eighteen books for them through 2011 including Montana Rose, and the soon to be released Cowboy Christmas. One of the reasons it took me so long to get a book published, I believe, is that what I wanted to write didn’t fit anywhere. I still remember reading that Harlequin was opening a line of Christian romances called Love Inspired. And here I was with all these finished books that were too clean to fit anywhere. I was writing for a genre of fiction that hadn’t been born yet. Please visit Mary’s Web site to learn more. 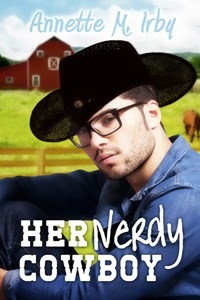 Mary Connealy, writes romantic comedies with cowboys for Barbour Publishing. Montana Rose, Book #1 of the Montana Marriages series, released in July, book #2 The Husband Tree comes in January. Cowboy Christmas, a stand-alone romantic western is in bookstores now. I arrived home one night from work, in tears, brain fried. That’s the only way I can describe it. Although I appreciate having a job—and I do it well—the work is so mentally draining, I have almost nothing left in me by the time I finish my day. I thrive on being creative, but what I do at the day job insists on utilizing the side of my brain that kicks in to solve problems. That’s what I do for hours a day. I research missing payments in people’s cellular accounts. It’s like solving math problems for eight hours. I’d rather be dreaming up stories about Neverland. So in tears, I told my husband that maybe I was fooling myself. Maybe I couldn’t maintain my goals for a writing career while still working full time. But . . . I agonized . . . other people do it all the time. Most writers either have young children at home, or an outside job. Why do I struggle with trying to do it all – while also attempting to keep some kind of balance in my life? I still need to have time with family and friends—not to mention time with God—and still have a little “me” time. I believe I’m called to write. I believe I’m also called to launch a freelance editing business soon. But do you know what my problem is? I fall into the trap of believing I need to do it all by myself. I forget that God is on my side, desiring to extend His helping hand. That in Him I can do all things. God is in this with me! I'm not alone! He’s working on my behalf, even when I can’t see or feel it. Of course I have a responsibility to continue working hard and doing everything I can to reach my goals. At the same time, God doesn’t want me to burn out trying! I need to trust that God will help me do whatever it is that I’m called to do. Then rest in that fact. Let go . . . and relax in the promise that God is also working on your behalf. We don’t need to accomplish our dreams on our own. God is able to do more than what we ask or imagine! This Writer's Journey Wednesday, we welcome friend and author, Gail Sattler, to Seriously Write. In this writing life, I have learned five things. 1. Writing is a solitary profession. Even though we write about people, we can’t be around people when we write. The best thing I ever taught my children to do (once they were old enough) was to shut the door to my writing room when they hear those special words… “Mommy’s on a deadline”. The door can only be opened if it involves blood, or the police. Fortunately, neither have happened. Therefore I’ve always met my deadlines. Or at least most of them. 2. Writers must pick their priorities. There are only 24 hours in a day, and nothing is going to change that. Writing takes time. A lot of time. Therefore, writers must choose what is really important, and what is not, in order to make that writing time happen. Some things simply must be put aside, and writers must learn to delegate. For example, children over the age of 13, regardless of gender, are perfectly capable of doing their own laundry. I do not have to cook every meal, it can be a shared duty, and whoever didn’t cook, can do dishes. I figure I am also teaching my children how to become good spouses when that day comes. 3. There are things only writers understand, such as the correct way to slit your wrists if you really want to commit suicide. Writers discuss things like this at great length. In public. Fortunately none of us were put under surveillance for psychiatric examination. That we know of. 4. Knowing the details of how things happen is important. Depending on what you write, it can be vital to know how to properly burn down a house and leave no traces. So in order to get the right information, writers must ask the right people. So even though some of us, myself included, are now on lists of possible arsonists, that’s okay. It’s all in the name of research. 5. Take notes. Sometimes the best ideas come in the worst places. A writer must always be prepared to take notes, so when that writing time that we have so carefully worked toward happens, we haven’t forgotten what was surely the best idea in the world. Notes can be on paper, but they can also be made on iPhones, PDA’s, and other portable electronic devices. On the back of grocery bills. Receipts. Envelopes. Toilet paper works, too, but it’s harder to write on. Please do not ask me how I know this. If you see someone with a half-eaten burger beside them with ketchup dribbling down their chin frantically scribbling on the clean part of a napkin, that person is probably a writer. Hey. Writers gotta eat. But more than that, writers gotta write. Gail Sattler is a multipublished author who lives in Vancouver, BC, where you don’t have to shovel rain, with her husband, 3 sons, 2 dogs, and a lazy lizard named Draco, who is quite cuddly for a reptile. When she’s not writing Gail plays bass for her worship team and a local jazz band. Gail’s next book, The Narrow Path, is coming out in May 2010. Check it out at http://www.gailsattler.com/. The round table was encircled by writers. All of us at various stages. This one, a writer of chick lit trying to find a new genre which would work for her fantastic voice. That one published in POD. Another one hoping to break in. Someone else multi-published and well received. And then, her. The one I pestered for the autograph over breakfast. The one who posed for a picture before she signed, book in one hand, pen in the other. Big smile. I confess I don’t remember reading this author’s early books. She’s written several. Okay, a quick perusal of her name’s list on Amazon and I discover, wow, I did read her early novellas. But back then I didn’t know her name. Now, if I see a book by this author I don’t even hesitate to buy it. Why? She’s earned my loyalty. We’ve talked about reader trust before, but here’s today’s focus: your name is your brand. Mention Nicholas Sparks and bam—you have an idea in your mind of the types of books he writes—love stories (not to be confused with romances). Books they may at this point be immediately contracting into movies. And if you’re a fan, you’re thrilled to see his next one coming out; you make plans to buy the DVD. There are other authors who have my loyalty—those whose books garner my attention immediately. But only a few are at the top of the list where “I have got to have their next book” can be said of them. As we write and publish our books, let’s keep in mind this idea of reader loyalty. It’s another way we bless our reader. It’s all about the reader. Your turn: Think about your favorite author. You don't have to name them, but tell us what you love about them and how they inspire your writing. Recently, Harry Kraus, MD shared a deeply moving testimony at the American Christian Fiction Writers' conference in Denver. As followup from the conference, I contacted him for a Fortifying Friday post. He graciously agreed to drop by. How do you complete this sentence? I am a writer who happens also to be a ­­­­­_________. For me, and many of us, how we fill in the blank supports our writing calling and provides fodder for the passion to write. I am a writer who happens to be a surgeon. My life in medicine impacts everything I write, providing ideas for plot and its fundamental building-block: CONFLICT! How does someone respond to the news that they have cancer? What were the circumstances leading to a gunshot wound or a devastating accident? How can a surgeon operate during times of little sleep and personal illness? Look in a doctor’s waiting room. Everyone there has a story. Illness changes everything. There is new stress in relationships, career, and, of course, there are trust issues: how can we have faith in a God who allows us to suffer? Look around you on a Sunday morning at the faces and postures of the people who have gathered for worship. What is going on behind the expressions? Can we dare imagine what causes us to look bored in the presence of an amazing and all-powerful and loving God? The next time you’re stuck with a sagging plot, take a walk through your neighborhood and ask yourself what is going on behind closed doors or lowered blinds. Watch the people who pass in cars. Do they notice you and wave? Why or why not? Imagine, imagine, imagine. There is conflict everywhere! Harry Kraus, MD is a multi-published writer, having written both fiction and non-fiction. His novel, "Could I Have This Dance?" was the number one CBA bestseller in the contemporary category for 2002. He is a board-certified surgeon and laces his stories with medical realism, a Kraus-signature. He is serving in East Africa as a surgeon-missionary with Africa Inland Mission. Mostly, Harry is a victim of GRACE! Read about his passion for the Gospel of Grace in Breathing Grace: What You Need More Than Your Next Breath. Visit his website for more information: www.harrykraus.com. His lastet book "Salty Like Blood" released in March, 2009. This Fortifying Friday, please welcome new author Tammy Barley as she shares her fascinating story of God's calling in her life to become a writer. God Called Me to Write. Literally. God said, “You’re supposed to be a writer.” I actually heard His voice beside me. I was alone, puttering around our backyard pool in Arizona, and watching the night sky. Since I had recently graduated high school and had searched for years for direction but still had none, I turned to God for the answer. In my thoughts I asked him, “What am I supposed to do with my life?” He answered, out loud . . . a voice beside me in the dark. Isn’t that where he always is? Right beside us, guiding us, even when we can’t see the way. Let me tell you—when God literally speaks to you, you listen. (Can anyone identify?) =) And yes, as you can tell by my question and his answer, God truly has a sense of humor. And a twisted one at that. I took a mandatory typing class four years prior, and hated it so much that I read romance novels instead of practice. While I got lost in fabulous stories and other students banged away at the keys, I used to swear to myself that no matter what I did with my life, I’d never type. So now I laugh about that. And use the backspace key a lot. So God told me to become a writer, and I went to college, took every writing class—prose, poetry, journalism, fiction writing: the novel, nonverbal communication, and others. Then I took theatre and acting classes to learn how to get into and develop character. All the while I read Writer’s Digest magazines cover to cover, and studied the techniques of bestselling authors with pen and highlighters in hand. If you want to learn how the best of the best craft technique, there’s no better way. Now, twenty years later, my historical romance novel, Love’s Rescue, book one of my new series, The Sierra Chronicles, has gone into its second printing only five weeks after its release, and has been as high as #11 on ChristianBooks.com’s historical fiction bestseller list. Love’s Rescue won the Golden Rose Contest, 2nd place, inspirational category, and is currently being considered for translation and distribution in Europe. I have an upcoming interview on the radio show Aging Outside the Box, this Thanksgiving night 6-7 p.m. Central, so God is doing great things. When God said “You’re supposed to be a writer,” he already had a plan worked out, just as he has for you. Self-doubt and fear do not come from him. So dare to be bold as lions as your careers surge forward and you touch lives for his kingdom. God is right beside, guiding you, even when you can’t see the way. Tammy Barley loves her home in dairy cow country in northern Illinois, and is proud mom of three eighth graders whom she home schools and who constantly make her laugh. 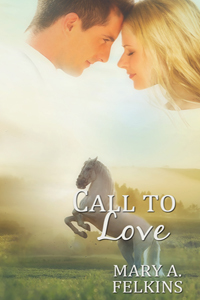 To introduce readers to The Sierra Chronicles, Tammy Barley is sponsoring a phenomenal contest: Read Love’s Rescue for a chance to win a one-week western guest ranch resort vacation for two to the Rocky Mountains of Colorado! For details, including date of drawing and to enter, visit http://www.tammybarley.com/Bookshelf.html. To read a blurb about Love’s Rescue, and to find a copy, visit http://www.tammybarley.com/Bookshelf.html (the link to ChristianBook.com offers a great price—only $4.99 through December 31st). Have you noticed that creative people need affirmation about their work? A LOT of affirmation. Without positive feedback, it’s easy to allow negative thoughts to fill our head and cause us to doubt our abilities. It’s also way too easy to let one criticism overshadow many words of praise. And because of that, we may become discouraged. Music has always been important in my life. I’ve played various instruments and sung in front of people since I was four years old. For fifteen years, I’ve served my church as a vocalist on a contemporary worship team, and have received heartwarming words of affirmation. My guess is there are deeper reasons for her comment. But knowing she felt strong enough about her feelings to make that statement in public, threw me. It caused me to doubt my ability and worth as a singer. I wondered if other people felt the same way. For a moment I even questioned whether I should leave the music ministry at my church. I almost allowed one negative comment to be a factor as to whether I serve God with my gift—or not. As writers, we may experience the same thing. Not everyone is going to like what we write, or how we write it. Multi-published authors will tell you it still stings when they get a letter or email from a reader who bashes one of their books. An editor – or our critique partners - may express that our story isn’t believable, our protagonist isn’t likeable, or they just can’t get into the character’s head. They may tell us that we need a stronger hook for the first line, the middle section of the book is boring, or the ending isn’t satisfying. We can become discouraged and give up. Or we can work harder, believing that God has called us to be writers for a reason. That in due season, our work will bear fruit. God goes before us and with us. And He will never leave us. Write on, fellow writers. Write on.